We’ve got three more solid contenders for the CRIPPER Award for you Sailors! 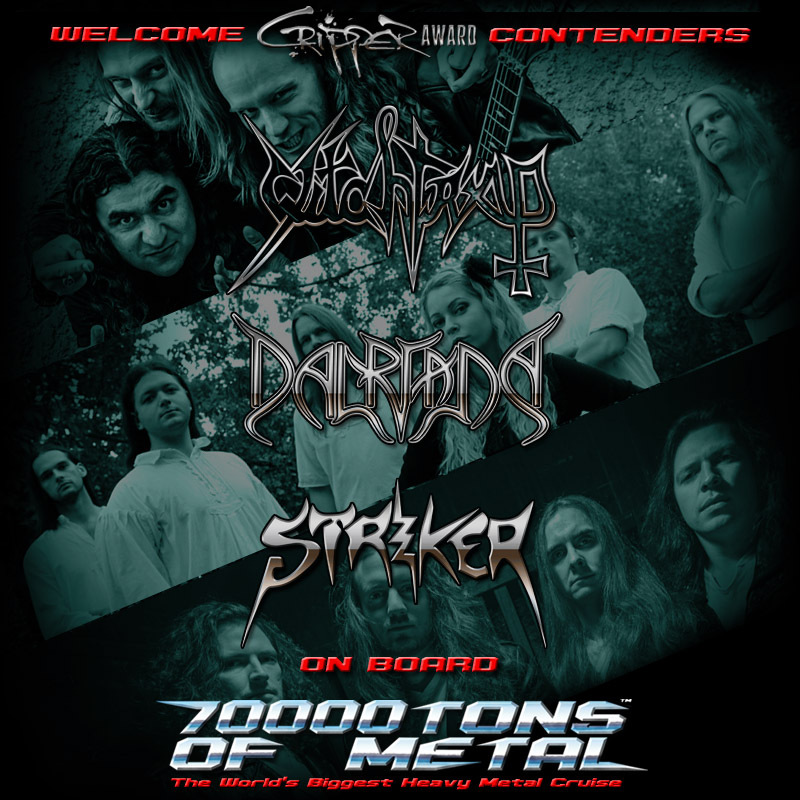 Throw your horns up for DALRIADA from Hungary, STRIKER from Canada, and WITCHTRAP from Colombia! They will join you and 2,999 other die hard headbangers on board 70000TONS OF METAL, The Original, The World’s Biggest Heavy Metal Cruise! That brings the count to 59… which means there’s only one more. Who will it be? You will know… SOON! ← Online Check-In Is Now Open!